As far as World Cup races go, they don’t get much more rad than MSA. For myself, it’s a pleasure to return there every year and ride the epic course. Some changes were made to the course this year, can’t go wrong with a few new drops and berms. Everything was set for a great weekend. 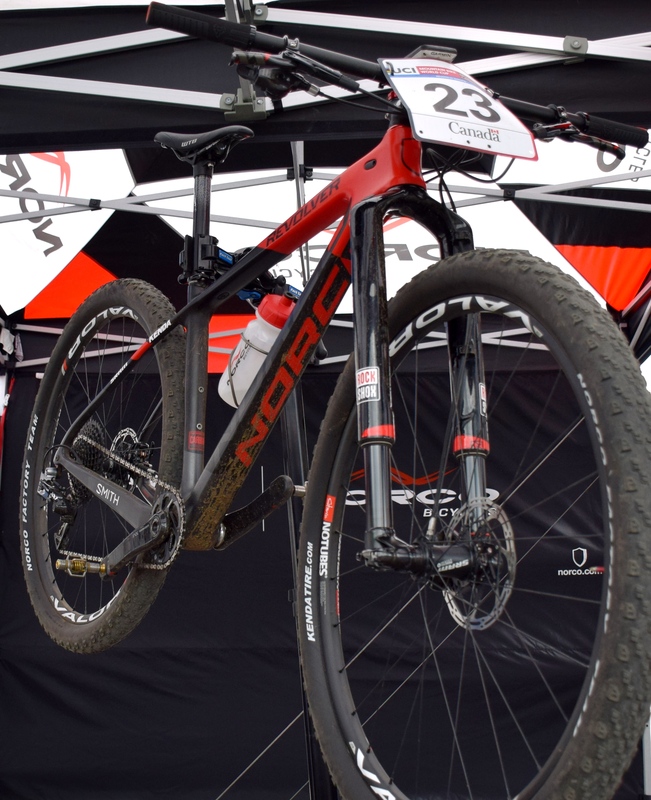 The Norco Factory XC team was lucky enough to share pit space with the DH Norco Team. 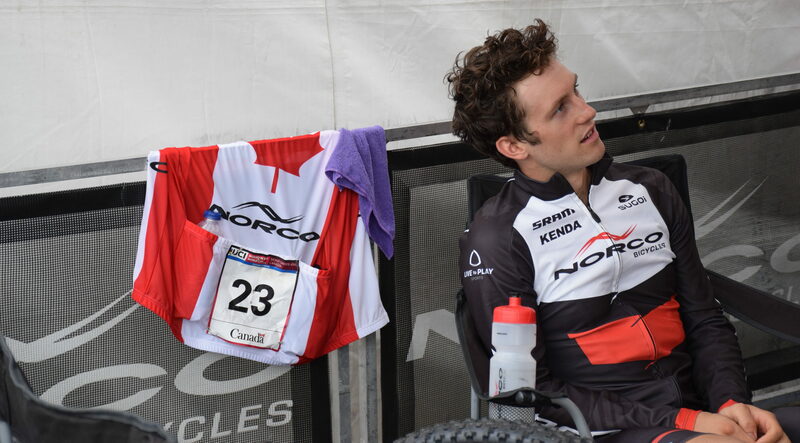 This created a super cool atmosphere to hang with the DH guys and watch them race. 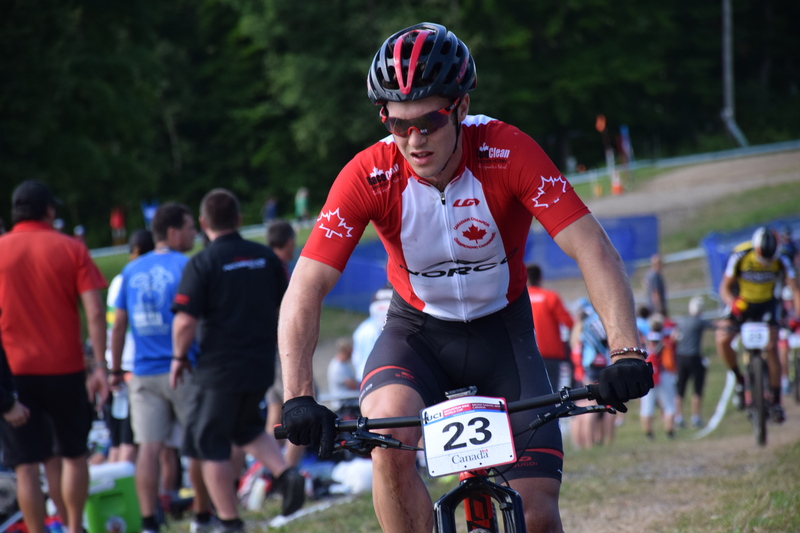 Sam Blenkinsop came out for a lap with the Evans and I on the XC course then rolled a nice 9th place on Saturday. 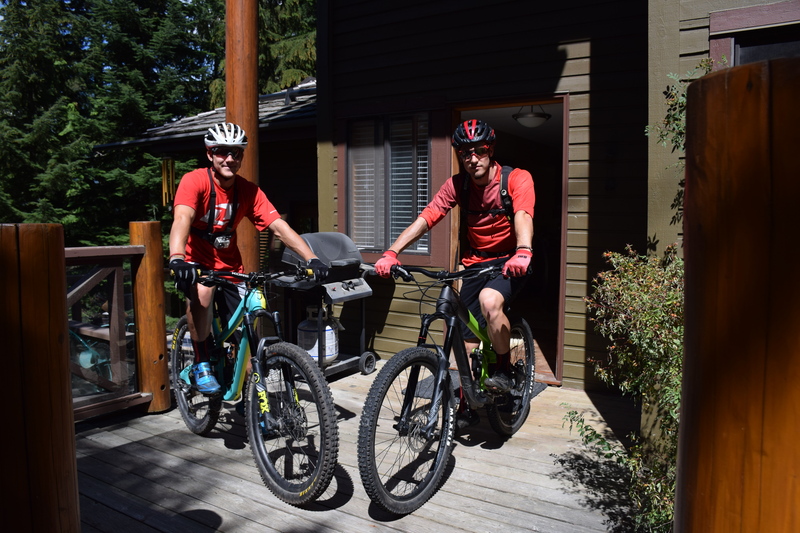 For the rest of the XC team, even though the course was extremely technical in spots, McNeely and I opted for our hard-tail Revolvers. With 2.2 high volume Kenda Saber Pro tires, there was plenty of grip and just enough cushion and compliance for the jagged rock sections. The hard-tail was really, really fast on the climbs and I was super stoked off that! The race was pretty solid. Decent start, good climbing legs, good piloting – I had my sights set high. It took me a second to get into the groove but I moved up to the point where I could see 8th place. I never made contact, but it was close. Nearing the end of the race I started to fade a bit, especially on the steep climbs. This would cost me some spots as I slipped to 14th. I still couldn’t be happier to achieve my goal of top 15. All-in-all, I’m a little upset to loose some spots, but still pleased with the result. Post MSA we did some riding in St. Raymond at the ‘sister trails’ to Kingdom Trails (epic trail network in East-Burke, Vermont). Some stellar couple of days of shredding! Always enjoy getting rad on my Revolver FS. Then it was time to head home for 36 hours before flying to Whistler! Things are about to get rad!